Dimitar Bechev is a Senior Policy Fellow and Head of ECFR’s office in Sofia. He is also affiliated with South East European Studies at Oxford (SEESOX), St Antony’s College, Oxford. In 2006-2010, Mr. Bechev was a Research Fellow at Oxford’s European Studies Centre and held a lectureship in International Relations at Worcester College, Oxford and a visiting professorship at Hitotsubashi University in Tokyo. He is a Region Head for Central and Eastern Europe at Oxford Analytica, a leading consultancy on current political and economic affairs. He has published widely on the EU’s enlargement and neighborhood policies as well as the politics and modern history of the Balkans. He is the author of Historical Dictionary of the Republic of Macedonia (2009), Mediterranean Frontiers: Borders, Conflict and Memory in a Transnational World (2010, co-edited with ECFR Council Member Kalypso Nicolaidis) and Constructing South East Europe: the Politics of Balkan Regional Cooperation (2011) as well as articles in leading periodicals such as the Journal of Common Market Studies and East European Politics and Societies. He holds a D.Phil. 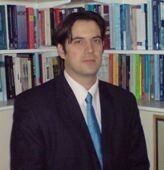 (2005) in International Relations from the University of Oxford as well as graduate degrees in International Relations and Law from Sofia University.